I come across with different taping strategies for the air tight sealing around windows almost every week. Generally speaking - the quality of the most installations has been improved over the last few years. 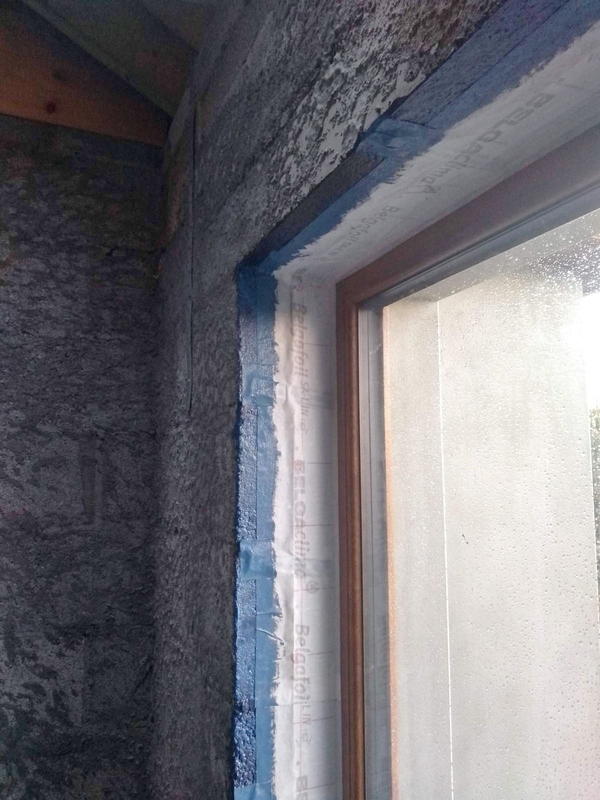 The most installers take attention to details like preparing the blockwork prior to the taping, covering protruding straps and creating an air tightness strategy for the remaining block area in the reveal. 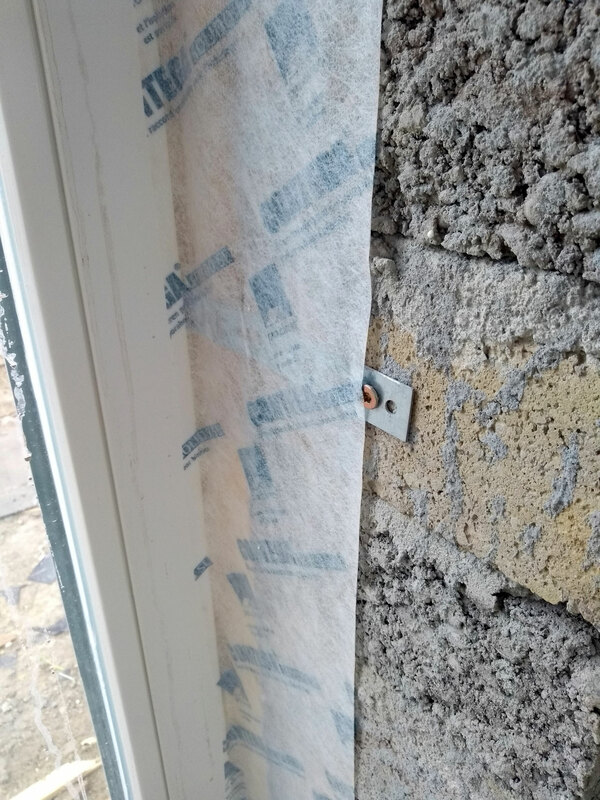 But every now and then I see the use of air tight tapes, which are not made for the purpose of taping between the window frame and blockwork. The area around the windows is one of the weakest spot on the entire building envelope. 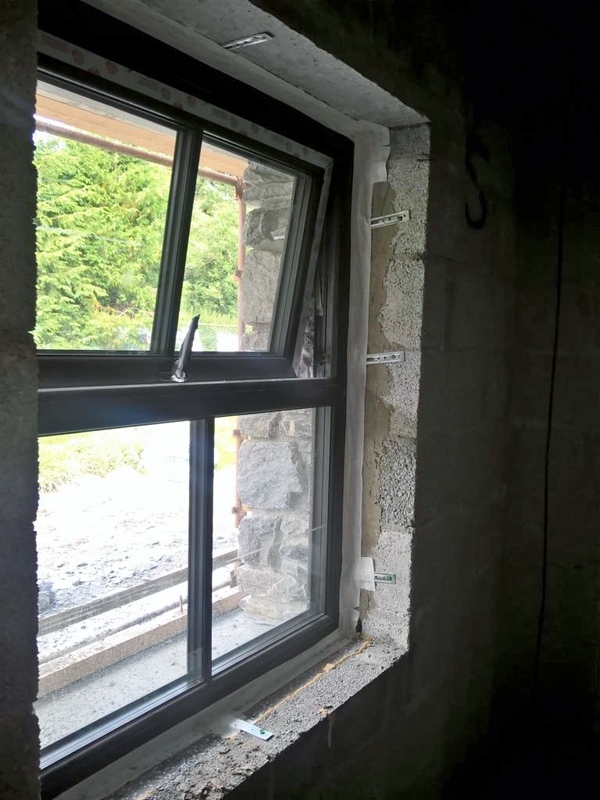 The junction between a good insulated wall (maximum u-value of 0.21W/m²K for new builds, as coming from Part L) and the x-times worse insulated window (in the best case a total u value u(w) of around 0.7W/m²K for a high spec passive house certified window) is one of the coldest areas in the house with a high risk of condensation and (in the worst case) mould. Therefore it is absolutely essential to have the window installed without any thermal bridging and covered with an appropriate and continuous insulation layer around the frame as well. 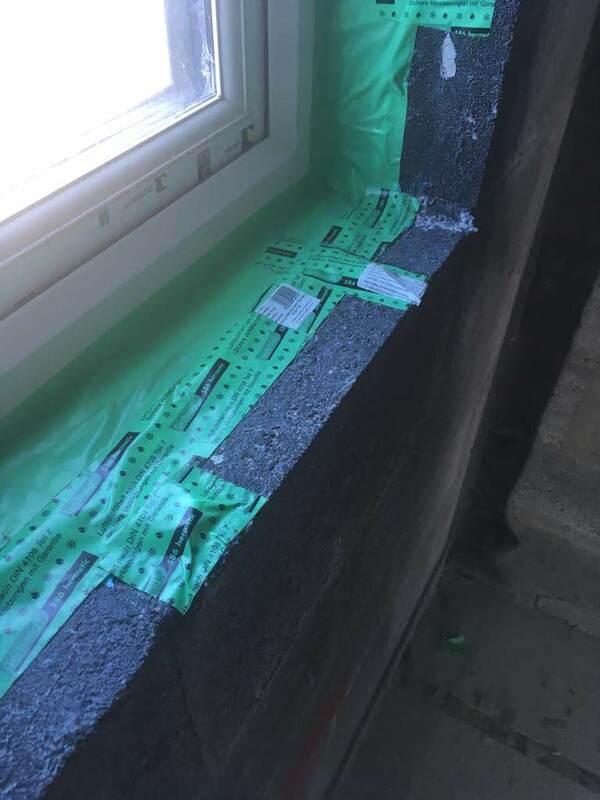 The window tape comes into the game, to protect the joint between the window frame and the blockwork against draughts and the potential risk of condensation. Speaking more technically - the tape creates the required air tight and vapour control layer around the window. There are plenty of window tapes available from different suppliers and manufacturers. You can select between two general bonding methods for connecting the tape to the blockwork. Some tapes require an additional sealant to create the adhesion layer between the tape and the block, whilst other tapes operate on a self-adhesive principle. Some installers and self-builders do use standard air tight tapes for sealing around the windows, which I would not recommend. Such tapes are clearly specified for the use of "air-tight bonding and sealing of penetrations and overlaps of wind and vapour barriers according to DIN 4108-7" (as taken from the certificate of performance for the Gerband 586). These tapes are not only skinnier than original window tapes, they also do not have a coating which can be plastered or painted (e.g. with air tight paint). This coating also protects the functional film inside of the window tape against mechanical damage and creates a layer that can absorb a certain amount of moisture too. An air tight tape is mostly cheaper than a window tape but does not have the same properties to create a functional sealing layer for around windows.